After months of speculation and guessing about who was going to take the judges seats on American Idol, the official judge list has been confirmed today. 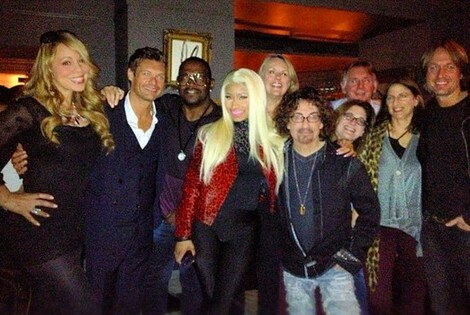 According to a press release put out by FOX: Superstar judge Mariah Carey – the best-selling female recording artist of all time – and returning judge Randy Jackson, a Grammy Award-winning producer whose expertise and beloved persona have been instrumental in discovering IDOL talent from the beginning, will be joined by two new judges: quadruple-platinum singer, songwriter, rapper and fashion icon Nicki Minaj; and Keith Urban, a four-time Grammy Award winner who has sold more than 15 million albums. Ryan Seacrest stays on as the host of American Idol and the show will return January 2012 for its 12th season. What do you think of the judge list? Can Idol survive with these judges or is it the beginning of the end? Hit the comments and let us know your thoughts! Breaking News: Robert Pattinson Forgives Cheater Kristen Stewart!